Do you want to make a difference? Have options when you graduate? Study finance. In Lerner’s finance program, you will learn how to balance opportunity with risk to ensure resources are allocated to their best use. You will learn how finance influences almost every aspect of an organization, whether a bank, consulting firm, public or private corporation, governmental organization or non-profit. The curriculum provides a strong foundation that will prepare you for all categories of finance careers including investment management, corporate finance and financial services. Our challenging, rewarding program is one of the most popular undergraduate majors at UD. 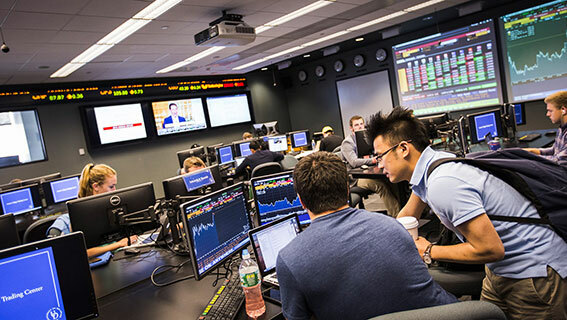 The undergraduate finance degree at the University of Delaware has been recognized by the CFA Institute as a program that incorporates over 75% of the Chartered Financial Analyst (CFA) Exam Material into its curriculum, including the CFA Institute Code of Ethics and Standards of Professional Conduct. For more information on the CFA Institute and recognized universities, visit the CFA Institute’s website. The finance department awards five scholarships per year for qualified students to take the CFA Exam. See myLerner for details on how to apply for an exam scholarship. You’ll hear from finance industry professionals from public and private institutions such as the SEC, the Federal Reserve Bank and JPMorgan Chase. As a finance student you’ll have access to an extensive set of research databases maintained by the Department of Finance. The Blue Hen Investment Club is the University of Delaware’s student-managed investment fund with $1.8 million assets under management. It is open to students of all majors who are willing to commit to managing a portion of the university’s endowment. Over the years, the fund has created leaders who have found careers with institutions such as Morgan Stanley, JPMorgan Chase, Bank of America Merrill Lynch, UBS, PwC, EY, KPMG and McKinsey & Company. The Honors credits in the major must include at least six credits in BUAD and/or FINC courses. They may include required courses from other departments in the Lerner College. 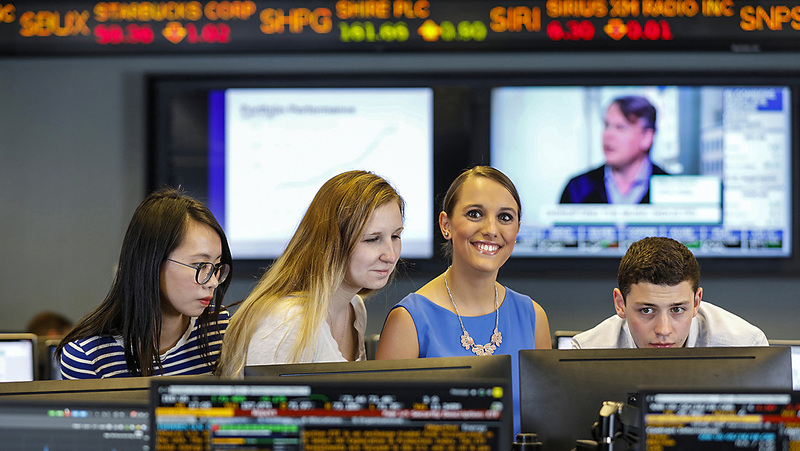 After graduating in 2017, 96% of Lerner’s finance graduates were employed (earning a median starting salary of $55,000) or pursuing further education. For more information on career resources please visit the Lerner Career Services Center. Visit the Career Outcomes of Lerner finance students to see more top employers, job titles, salaries and locations.